So, today’s project didn’t start off too promising, but it shaped up pretty well. 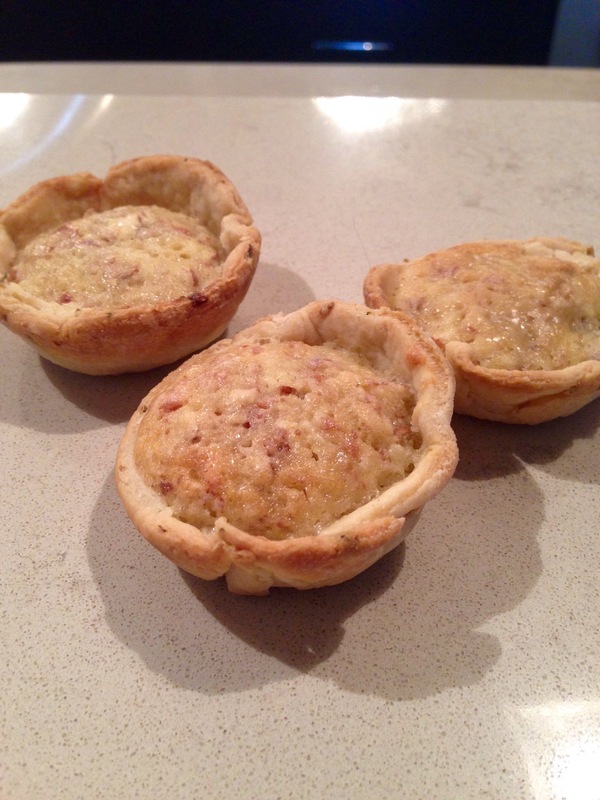 I made mini tarts with a lime crust and frangipane filling. Let’s talk frangipane for a second. Basically, it just refers to an almond custard filling, named for the expression frangere il pane, or break the bread, also the source for the Frangipani Roman royal family (thanks, Wikipedia). 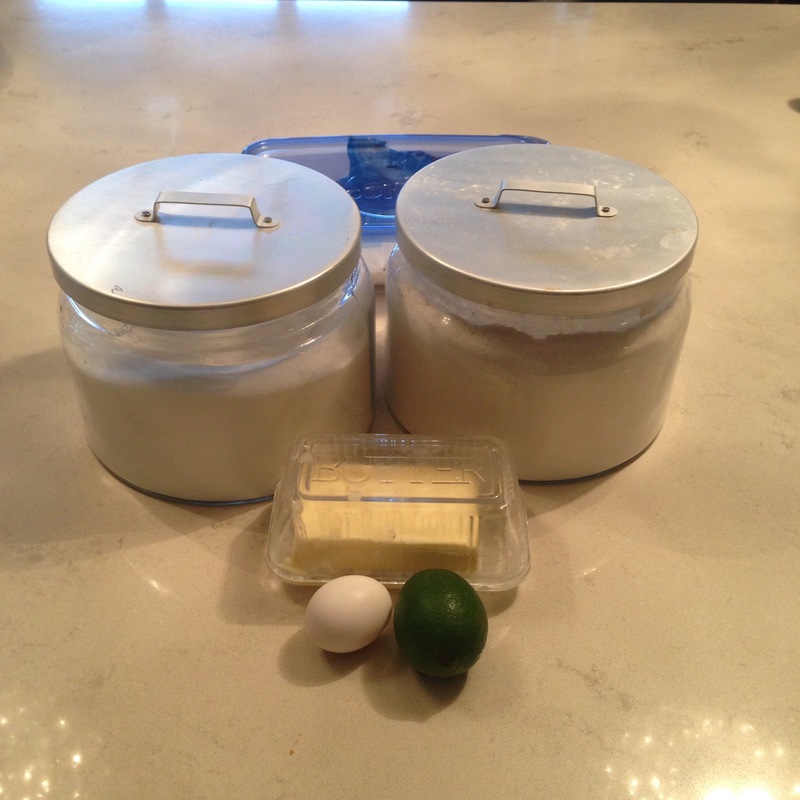 So, basically I started off with a crust of flour, butter, lime peel and juice and I almost stopped right there. My crust just wasn’t rolling out. It was sticking and falling apart at the same time and I wanted to just quit. 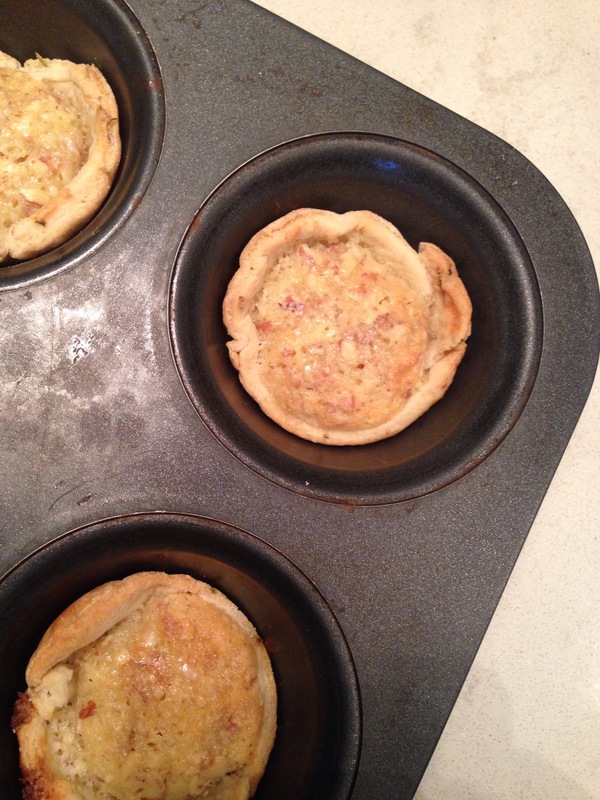 But I kept going and ended up with ten decent-looking mini tart crusts to line my muffin pan with. Next, flour, butter, ground almonds, an egg, and superfine sugar, which I had to make at the last minute with my food processor. I thought I was going to burn something with all the “smoke” coming off the processor, but it was just sugar dust, which settled on every surface in the kitchen. But, after 15 minutes at 400 degrees, the little tarts looked and smelled delicious. The crust actually came together and they’re just the right amount of sweet with a great texture. Family consensus: just as good, if not better, than day one!